Ghosts are spirits that come into manifestation in ectoplasmic form. They are spirits trapped between dimensions - usually third and foruth dimension. As with all things - ghosts have their own frequency signatures. They communicate telepathically - in though form. Anyone who has opened their gifts of clairaudience and clairvoyance can communicate with them. Ghosts can also communicate through tools like - ouija boards and other forms of mediumships. Ghosts usual come to communicate - not torment the people they come to visit. Poltergeists on the other hand enjoy mischief and can get violent. Ectoplasm is the substance that enables spirits to manifest physically to some degree. 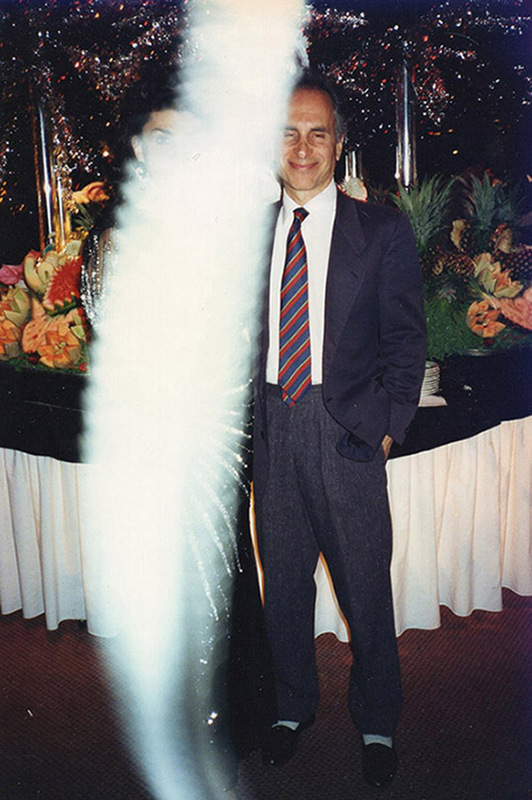 Sometimes the ectoplasmic energies can be seen - and other times photographed. Ectoplasm is not solid in consistency - it is more like a 'haze' in density! When photographed a true spirit will appear as circular rings of energy. This type of photo is called Psychic Photography - photographing entities from other realms. The more detailed the rings are on the spirit image - the more evolved the ghost/spirit. Though they are usual seen in the 'white lite haze' some ghosts can manifest in colors or rays of light. The colors depend on their frequency of the ghost. Animals are more aware of ghosts - than humans are - as they can see and hear in higher frequency than we can. All ghosts are spirits that have lived in physical (corporeal) form at some point. Their causes of death vary as does the reasons why they haunt specific places and people. Ghosts of pets and other animals have also been seen. Ghosts have personalities usually similar to that which they had when they were in physical manifestation. Just because a person dies - does not mean they will become instantly enlightened. As on the Earth plane - it takes many incarnations of clearing and healing. Some of the most popular places they haunt are sacred buriel grounds, which should have been left untouched, cemetaries, sacred/power sites, Native American reservations, places where there are strong magnetic fields, places of religious worship, caves, places where acts of violence occured, taverns, theaters, ancient ruins, castles, and perhaps even in your home. Many people see ghosts of departed loved ones in their home. Many people see ghostly apparitions but never tell anybody for fear of ridicule. This comes from fear and/or ignorance on the part of the observer or those around him/her. Ghosts are not to be confused with Angels, Spirit Guides, ET's, Nature Spirits, or other entities from higher realms. At this time in the planet's history we are going through physical and spiritual changes. Earth changes cuase hsifts in our weather patterns and magnetics. All of this leads to a dimensional merging that will make it easier and easier for ghosts and other phenomena from the other side to be experienced in our third dimensional reality. A scent associated with the spirit. For example - if the spirit smoked cigars while in a physical body - you might smell a cigar scent in the room. Noise - Spirit turns on an electric appliance - usually linked to them. Rappings include thumping, knocking, tapping or bumping. In ancient times rapping was thought of as an omen of approaching death. Ghost phone calls from a deceased soul - usually a family member. It usually means that the deceased soul wants to impart a farewell message. Many such calls occur on days of importance such as Mothers Day, holidays or birthdays. People who have received phone calls from the dead report that the voices are often exactly the same as when the person was living. The telephone rings normally but the connection has static. The voice of the deceased tends to grow fainter as the call progresses. Sometimes the voice fades away completely. In some very interesting cases the call is placed long distance and connected by an operator. Checking with the telephone company usually turns up no evidence of a call on their records. As in all things some ghosts are positive while some are negative in energy. Often a soul does not know how to go to the creational Source. Not all ghosts understand about the other realms. Angels and spirit guides often assist them on their journey. Spirits exist in higher frequency realms. When a spirit manifests as a ghost - it usually is able to produces something that is physical. Belief in ghosts can be traced back as far as 2,000 B.C. This first record of a ghost comes from the Babylonian story The Epic of Gilgamesh, and is etched in clay tablets. The story tells of the the hero Gilgamesh and the ghost of his dead friend, Enkidu. "Not willingly do I speak of death,"
said Enkidu in slow reply. All my skin and all my bones are now dead. "Oh no" cried Gilgamesh without relief. "Oh no," sobbed one enclosed by grief. Many ghostly legends are associated with the Tower. In 1483, two young princes were murdered in the Tower, and their ghosts were reported to have haunted the tower until the year 1674, when their bones were found and buried in a proper ceremony. In 1816 a sentry was walking his beat in front of the Jewel House when he saw a dark shape moving on the steps of the building. He approached the figure just as the moon came out from behind some clouds, revealing a huge bear lunging at him. Paniced, he struck out at the bear with his bayonet but the blade simply passed through the bear, which then engulfed him. He was later found unconcious by another sentry and died shortly after. Other Tower ghosts include Sir Walter Raleigh, and Guy Fawkes. In 1816, a palace guard who was on duty spied a bear. Not realizing he was facing an apparition, the guard attempted to lunge at the creature with his bayonet. The guard reportedly later died of shock. In 1864, a soldier saw a ghost and again attempted to use his bayonet. The soldier fainted when he realized his antagonist was a ghost, and was later court-martialed for neglecting his duties. The charges against the soldier were eventually dropped when two witnesses came forward to support the soldier's ghost story. The first sighting was reported in 1835 by a house guest, Colonel Loftus. He actually viewed her twice. He said she was wearing a brown satin dress and had only black empty sockets for eyes. Another sighting was made by Captain Frederick Marryat. He intentionally slept in the "haunted room," but instead caught a glimpse of the Brown Lady an upstairs hallway. His description was the same as Loftus', except this time the Brown Lady was carrying a lantern. Marryat happened to have a gun with him, and fired point-blank at the figure. The bullets, of course, passed right through the ghost. The ghost was not reported again until 1926, at which time it was viewed by two little boys. In 1936, the famous photograph was taken by photographers Captain Provand and Indre Shira during a shoot for the magazine Country Life. Shira saw the ghost on the stairs, and instructed Provand to take a picture. There are many references to ghosts in ancient Roman mthology. In 44 B.C., Brutus, an army general, spearheaded a plot to murder Julius Ceasar. On March 15, he and his co-conspirators stabbed Caesar to death. Shortly thereafter - Brutus was visited by a huge apparition/ghost claiming to be Julius Caesar, and who then revisited him the night before battle. The purpose of the vision became clear to Brutus, who took it as an omen of doom. The battle was lost and Brutus killed himself afterwards. In Shakespeare's Julius Caesar the phantom is described as being that of Julius Caesar. There is a festival called Da Jui or The Hungry Ghost Festival which occurs on the 15th day of the seventh moon. It to appease the ghosts of the unloved or uncared for. According to Chinese mythology, the gates of hell open during the seventh month, allowing spirits to roam the earth. Spirits of those who have died at their own hands, in accidents, by drowning, or hanging, seek souls on earth to take their place in hell. Lanterns in water are used to guide these bad spirits away, and offerings of fruit and coins are left for the ghosts to take on their wanderings. Japan's Obon Festival uses drums and dancing to ward off the evil dead, much in the same manner of the Hungry Ghost Festival. The Winchester Mansion, in San Jose, California, was built by Sara Winchester, the widow of William Winchester. Sara visited a psychic who told her that she must build a house large enough to house the souls of all those who'd been killed by Winchester guns, and Sara spent the remaining 36 years of her life - until she died in 1922 - doing just that. The mansion's construction is just as odd as Sara's personality. There are stairways and doors that go nowhere, secret rooms and passages, and elevators that only go up one floor. Some believe that Sara had the house built in a confusing way so that the sprits wouldn't be able to find her and seek revenge. The number 13 is prevalent throughout: 13 bathrooms, stairways with 13 steps,and so on. There is a rumor that Sara would never give her workmen the day off, because she was afraid that the day she stopped building she would die. One day, however, after many complaints, she finally gave her staff a day off, and that is the day she died. In many war time battle zones - where hundreds of souls are killed in a short span of time - their souls remain trapped in the dimensions of the Earth plane - waiting to be freed. Many of them are stuck there because - they spritis do not know they have died - there are not enough guides to show them to the other side - the portals to the other close and trap them between dimensions. This could result in some degree of unexplained manisfestation on the physical Earth plane - such as bushes moving - unexplained noises , etc. 'Psychic sounds' are by far the most reported phenomena in all cases of haunted areas. The bloodiest battle ever fought on Amercial soil occured during the Civil war. On a balmy afternoon in June of 1863, Federal General John Buford peered through his binoculars across a field just west of the town of Gettysburg. He was perplexed as he gazed at a column of Confederate soldiers marching along Chambersburg Pike. He knew this body of men was too large for a raiding party - they were an advance element of Confederate General Heth's division. This resulted in the pivotal battle of the American Civil War. Three days later, fifty three thousand men would soak the fields red with the blood of the dead and dying. That would help explain why the abundance of ghost sightings are reported time and again from visitors who frequent the town and battlefield year after year. It is as well with little wonder that Gettysburg has obtained the reputation of being the most haunted place in America. Even the skeptics who refuse to believe even in the possibility of ghosts, won't refute the possibility of this haunted locale. On July 1, 1863, what began as a skirmish soon escalated into a heated battle with the arrival of Federal General John Reynolds' infantry. The Confederates pressed, and soon found the Union troops retreating chaotically towards the little town. The streets were thick with soldiers as the Federals retreated toward a designated rallying point just beyond town at Cemetery Hill and Culps Hill. Confederate sharpshooters took up positions through out as their prey was easy and plentiful. Some took position in the Farnsworth House, a small home situated along Baltimore Pike. Their perch was magnificent due to the locale on the main road through town. They mercilessly fired upon retreating soldiers, often hitting their mark. The streets were strewn with dead. Today, the Farnsworth house functions as a Bed & Breakfast. Bullet holes can still be seen on the southside wall. It is here that many guests report seeing an apparition at the end of the bed during the night, while other guests have reported doors opening and closing through their own volition. One woman incredulously has reported her infant being lifted by unseen hands and gently placed back down. The Little Round Top is an unimpressive hill overlooking the Devils Den and the wheatfield. As the extreme left flank of the Federal lines, it has had its share of carnage. During the filming of the movie Gettysburg, many re-enactors would find themselves with some down time. Although the movie was not filmed on the battlefield, it was not uncommon for these extras to walk upon the battlefield in their period uniforms. One small group of men found themselves atop the Round Top, admiring the view as the sun began to set. A rustling of the leaves behind them alerted them to the presence of a stranger. From the brush emerged a rather haggard looking old man, dressed as a Union private. The man was filthy and smelled of sulfur, a key ingredient of the black powder used in 1863. He walked up to the men and as he handed them a few musket rounds, he said 'Rough one today, eh boys?' He turned and walked away. As the re-enactors looked upon the musket rounds, they looked up to see the man had vanished. When they brought the rounds into town, they were authenticated as original rounds 130 years old! Many visitors have reported the smell of gunpowder, and have heard gunshots and screams from the Little Round Top over the years. Friday, July 3 1863 was a new day already polluted with the stench of death and war. For two days, 175,000 men have engaged in the bloodiest battle before or since on the American continent. The morning was somewhat uneventful, with the exception of some fighting at Culps Hill; which had ended by late morning. At 1:00 p.m., 140 Confederate cannon opened fire on the Union center. For two hours, the largest cannonade ever witnessed pounded the Federal lines. So fierce was the shelling, that one could not see across the mile of open field to ascertain whether or not their targets have been hit. So loud was the shelling that the attack was heard in Washington DC; some 80 miles away. This was the preamble for one of the most infamous military events. This was the preamble for what was to become known as Pickett�s Charge. After the second hour of the cannonade was up, some 12,000 Confederate infantrymen emerged from the woods. Formed in battle line, they began the deadly march across the mile of open field. How the Union soldiers must have gazed wide eyed as 12,000 fixed bayonets glistened in the summer sun, all preparing to converge on a single stretch of stone wall known as The Angle. Long range cannon fire sent explosive shells into the rebel ranks. As they neared, the artillerymen changed to canister shot; a typed of buckshot fired from a cannon. Closer still the rebels marched; closing holes in the line left by soldiers killed en masse. A deafening musketry opened from the Yankee lines behind cover of the stone wall. Still, the Confederates came. As the survivors reached the stone wall, brutal hand to hand combat ensued, but alas, the rebels, tired and outnumbered quickly lost momentum.� The entire charge lasted less than an hour. In that time, 10,000 Confederates lay dead and dying. With the failure of the charge, the battle ended. Robert E. Lee retreated back into Virginia. Thus ended Lee�s second invasion of the north. Thus ended the Confederacy's hope for independence. Although the war would continue for two more years, the Army of Northern Virginia would never fully recover from this loss. The Angle is a beautifully maintained area of landscape. One can still look out across the field from where Pickett's Charge originated. A park ranger while on routine patrol one night noticed a man on horseback. As the rider neared, the ranger wondered who would be on the battlefield so late; on horseback. Upon closer inspection, the ranger noticed the attire of the rider. It was that of a Civil War officer although the allegiance could not be ascertained. The unknown horseman approached to within 10 feet of the car and promptly disappeared. Other visitors have reported the sound of galloping horses in the immediate area of The Angle, although none were present. Sounds of the cannonade have permeated through time as people report hearing the thunderous roar of battle. One visitor even reported seeing Robert E. Lee himself, sitting atop his horse, Traveller, on the opposite side of the field. A resident of Gettysburg, and amateur ghosthunter mentions that during a stroll across the field on a warm summer night, cold spots were common. Going from balmy humidity to sudden cold, so cold he could see his breath, the fellow continued the path of Pickett's infantrymen. Old Green Eyes was a soldier who died in the war.